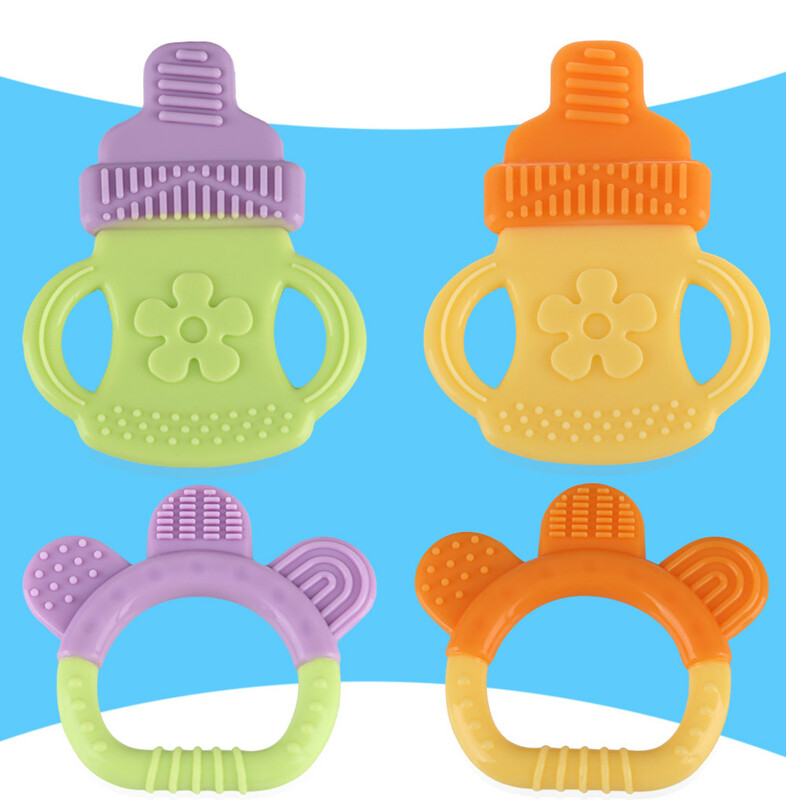 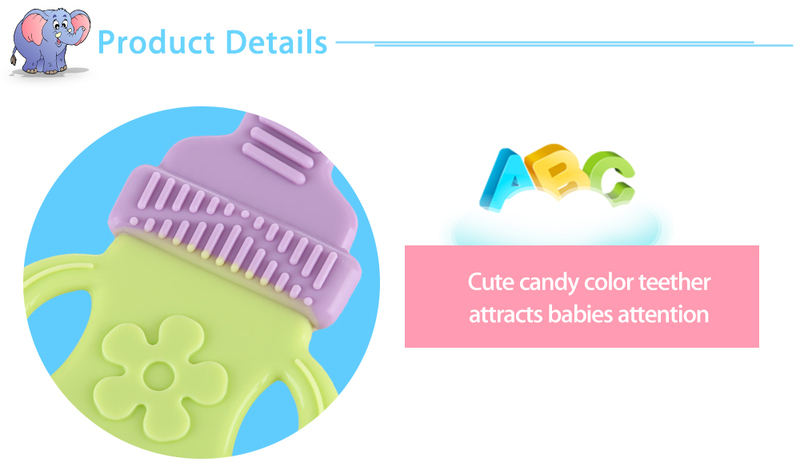 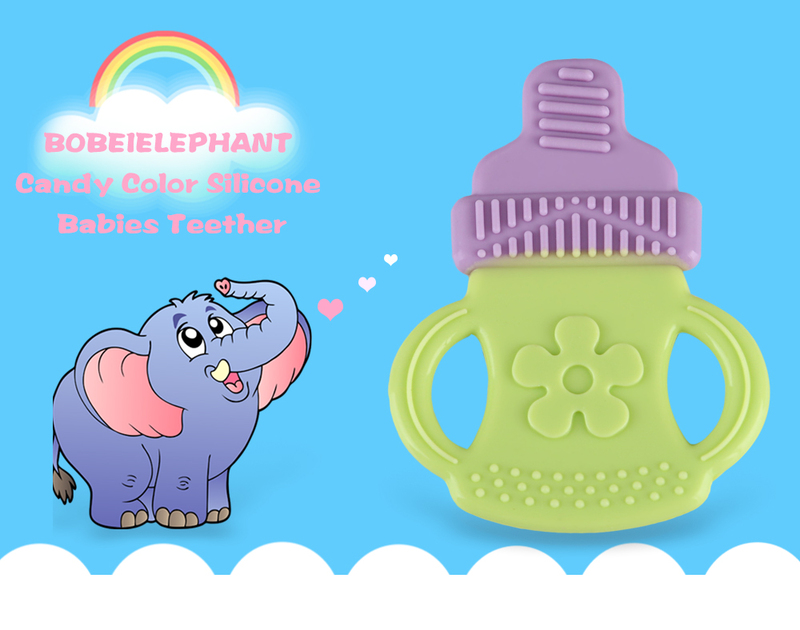 - Cute candy color teether attract babies attention. 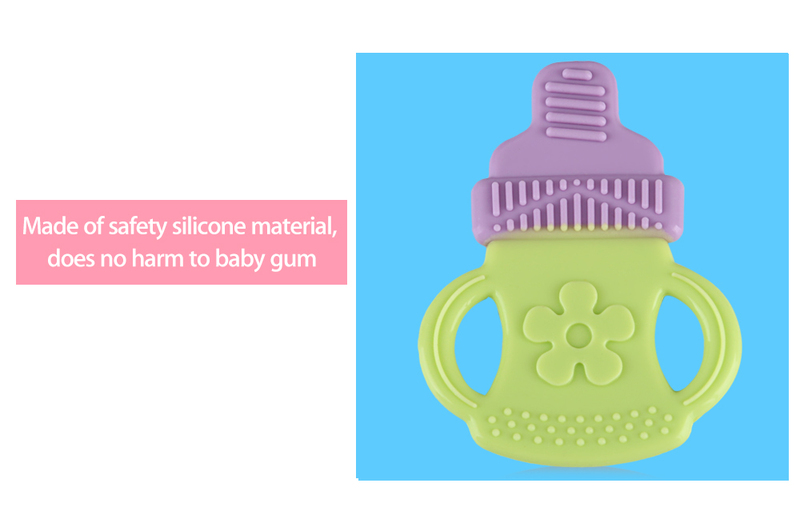 - Made of safety silicone material, does no harm to your gum. 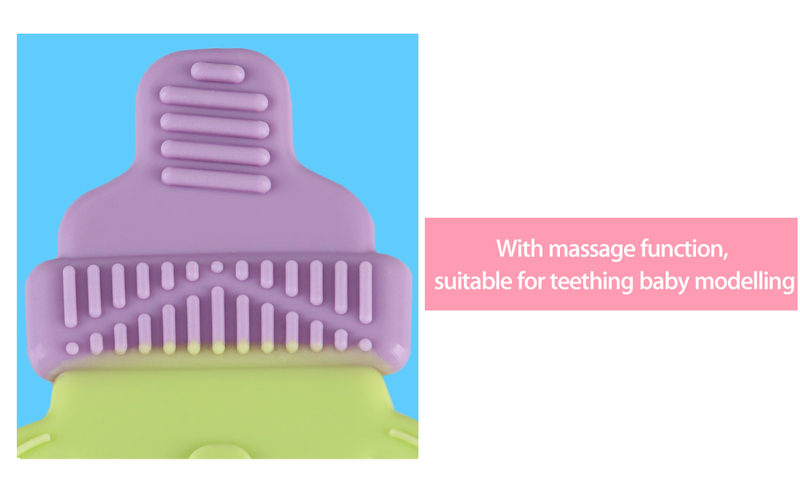 - With massage function, suitable for teething baby modelling. 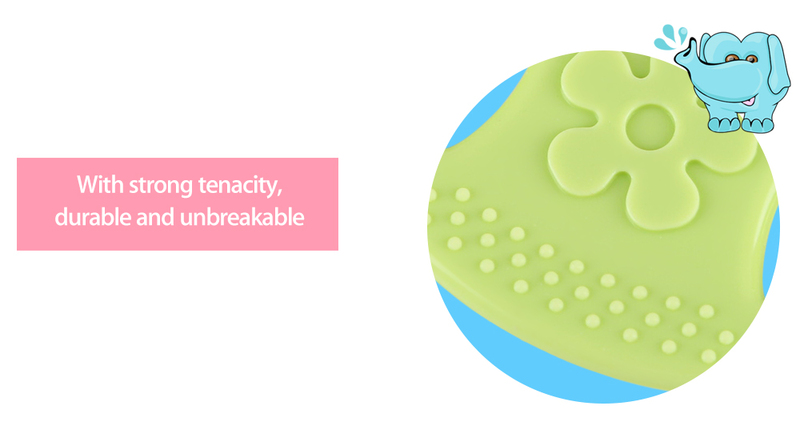 - With strong tenacity, durable and unbreakable.